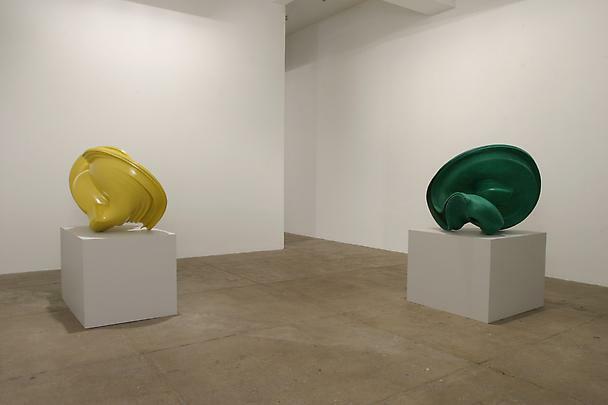 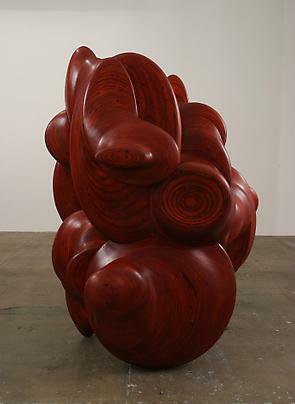 Marian Goodman Gallery is very pleased to present an exhibition of new work by British sculptor Tony Cragg, opening December 2nd and continuing through January 17, 2004. 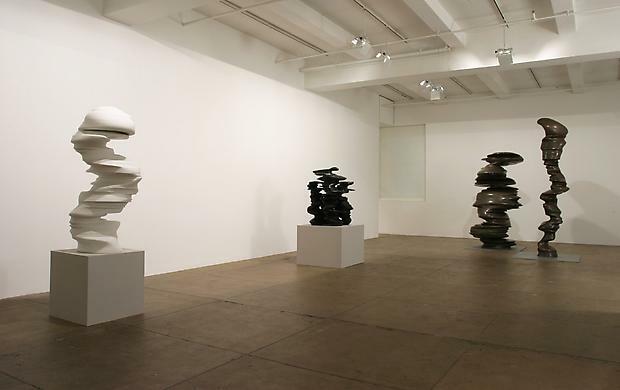 The exhibition will feature recent sculptures in stone, fiberglas, bronze, kevlar, stainless steel, and wood inspired from the Early Forms and Rational Beings series that Cragg has developed and constantly diversified over the past five years. 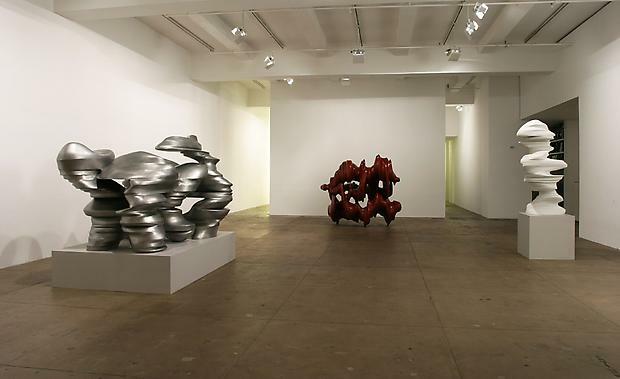 They represent a new generation of forms and demonstrate the artist's exploration with materials and processes, as well as his unique, synthetic approach to object making. 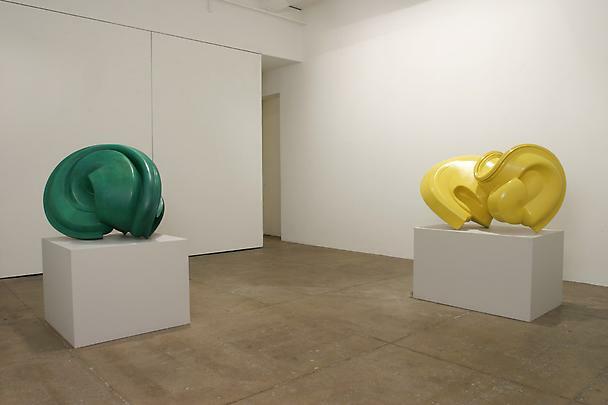 The two new green bronze works on exhibit, for example, Untitled (Early Form) and Declination, present the complex challenge of a sculptural form which begins with the receptable, can, or container and becomes a series of vessels folding one into the other, exploring the effects of movement and volume absorption and the complex choreography of how inner and outer space is revealed. 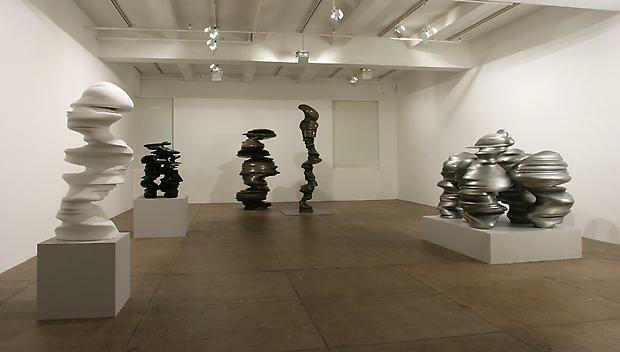 Other works on view, such as Bent of Mind, Unit, Stainless Steel Pillar, and Out of Sight/Out of Mind, extend and synthesize the earlier stacked columns and elliptical configurations of Rational Beings into an adventurous new vocabulary of form with diverse materials and volumes based on profiles, units, clusters, and corporeal forms. 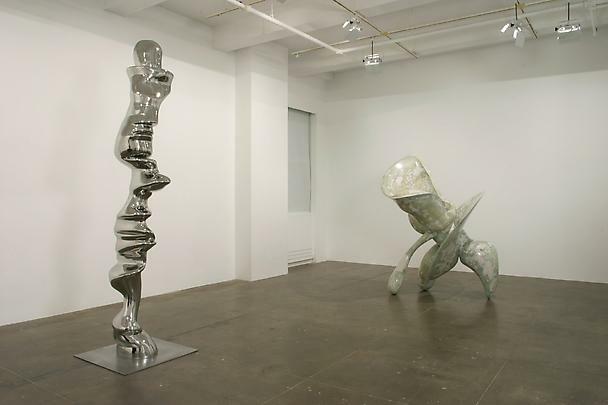 Within each form, multiple axes exist, generating unexpected viewpoints through symmetry and asymmetry, resulting in contoured images and figurations that are tangible but enigmatically revealed. 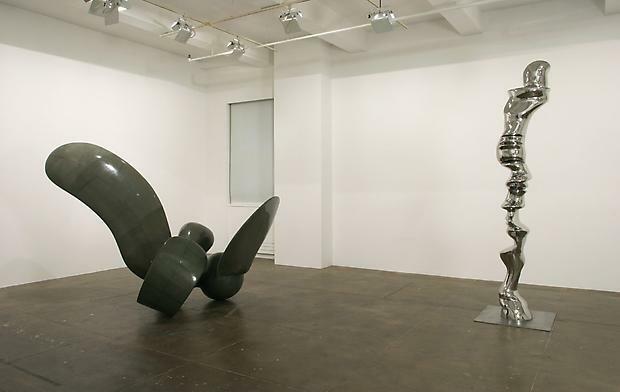 Species, a work in carbon/kevlar, shows Cragg's visual wit as well as his adroit skill with a broad range of materials, from the natural to industrial to synthetic and man-made. 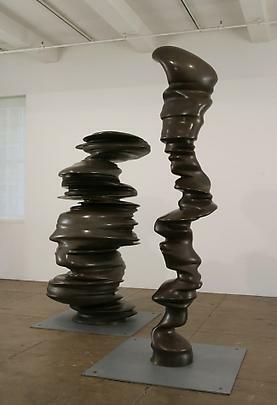 Among the strong generation of sculptors who emerged in England in the last two decades, Tony Cragg has distinguished himself for widening the boundaries of sculpture through his early interest in science which informed his experimental approach, his agility with materials, and his reinvention of form. 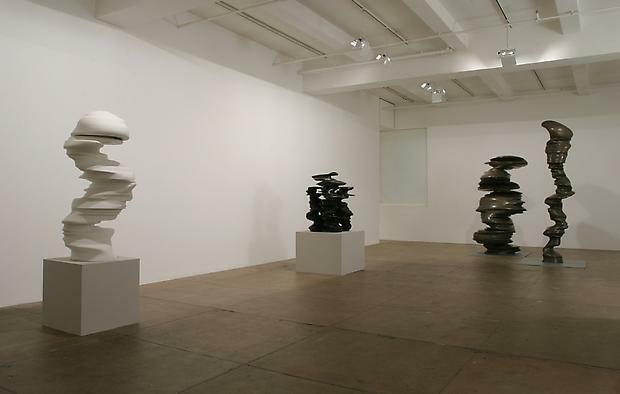 From the early found industrial products, to additive sculpture and works based on stacks and accumulations; from fragments and remnants ordered and arranged into more general forms to models of larger scientific structures; and from vessels, cells, envelopes and skins to the early forms and rational beings which relate to the works currently on exhibit, Cragg's body of work has broadly investigated experience with material--the process of working with it everyday, using it as a tool to instruct the reality of the world of objects, the structures that are necessary for survival, the utilitarian realm, the shape of things. 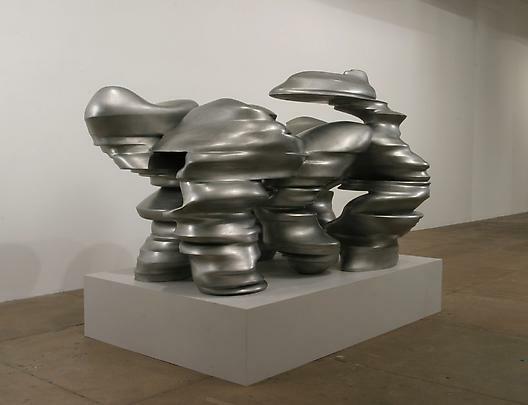 Recently an important retrospective of his work, Tony Cragg: Signs of Life, was seen at the Kunst und Usstellungshalle der BDR, Bonn, Germany, accompanied by a catalogue published on the occasion of the exhibition. 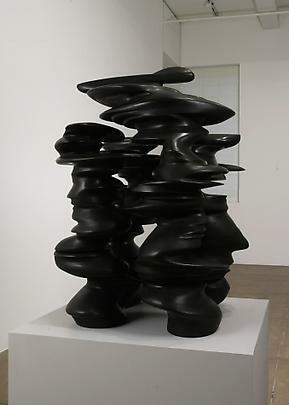 Recent one-man shows have been held at the Bibliothèque Nationale de France, Paris and Malmo Kunsthalle, Malmo. 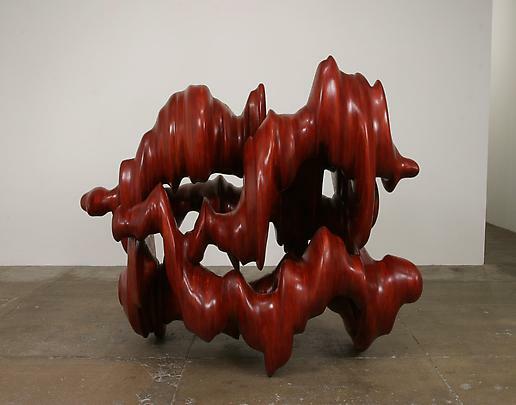 A selection of solo exhibitions abroad includes, among others, MUKHA, the Museum van Heedendaagse Kunst, Antwerp; A New Thing Breathing: Recent Work by Tony Cragg at the Tate Gallery, Liverpool; a retrospective survey, 1970-1995, at the Musée d'Art Moderne Centre Georges Pompidou, Paris; the Städtische Galerie im Lenbachhaus, Munich; the Galerie der Stadt, Stuttgart; the Whitechapel Art Gallery, London; the Museo Nacional Centro de Arte Reina Sofia, Madrid; and the Stedelijk Van Abbemuseum, Eindhoven. 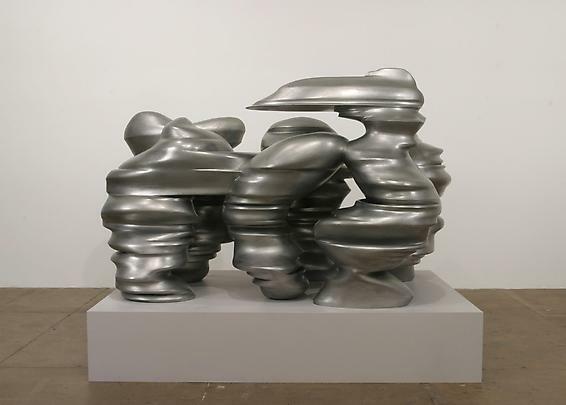 Cragg's many public commissions include the recent Changing Minds (2002) for The Hobby Center for the Arts, Houston, Texas; New Waves, a Public Art Fund Commission at Battery Park City, New York; Archimedes Screw, commissioned by the Municipality of 's-Hertogenbosch; World Events for the Atlanta Committee for the Olympic Games, Atlanta; Untitled at The Lille and Hugh Roy Cullen Sculpture Garden, the Museum of Fine Arts, Houston; Unsere Broken in Nordrhein-Westfalen, Dusseldorf; Ordovician Pore at the Minneapolis Sculpture Garden, commissioned by the Walker Art Center, Minneapolis; and Realms and Neighbors at the Merian Park, Basel, commissioned by the Kunstmuseum Basel. 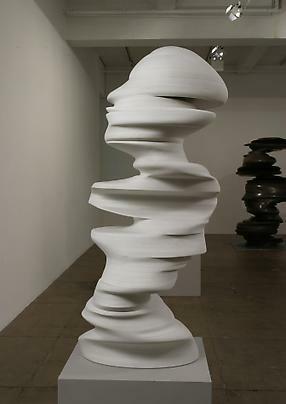 Tony Cragg was born in Liverpool in 1949. 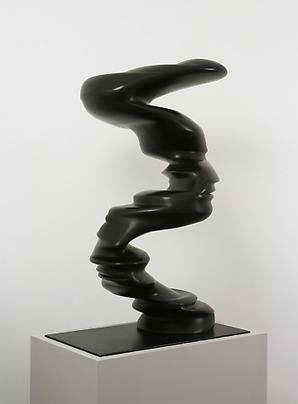 He studied at The Gloucestershire College of Art & Design (1969-70), the Wimbledon School of Art (1970-1973), and the Royal College of Art (1973-1977). 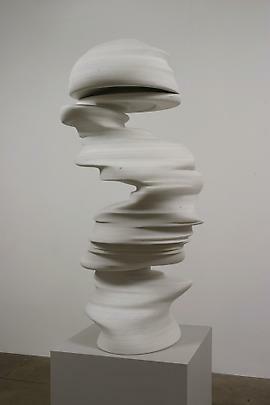 From 1966 to 1968 he worked as a lab technician at the National Rubber Producers Research Association. 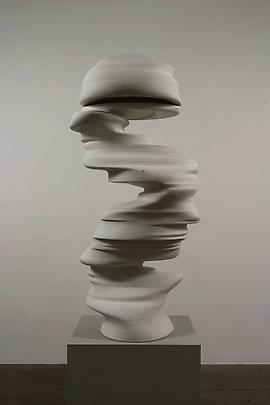 Since 1977, he has lived and worked in Wuppertal, Germany. 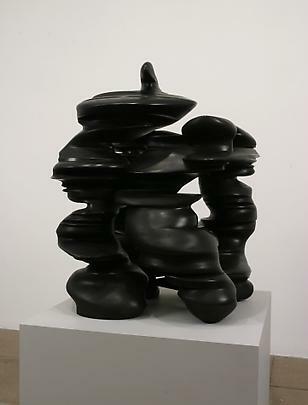 In 1978, Cragg became a lecturer at the Düsseldorf Kunstakademie and was appointed a full professor in 1988, where he taught until 2001, when he was appointed Professor at the Universität der Künst (UdK), Berlin. 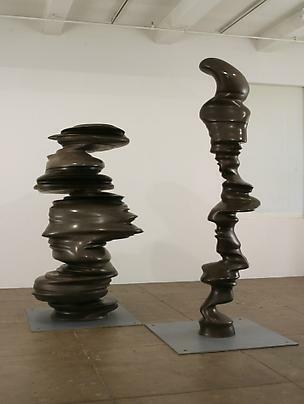 In 1988 he was awarded the Turner Prize and represented Britain at the 43rd Venice Biennial. 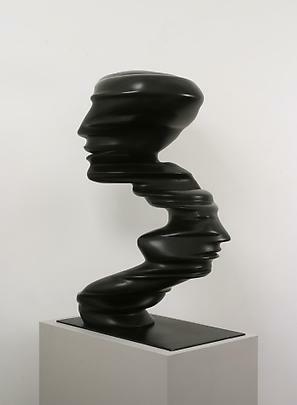 He has been the recipient of numerous distinguished awards including, in 1989, the Von-der-Heydt Prize; in 2001, the Shakespeare Prize; and in 2002, the Piepenbrock Prize for Sculpture.